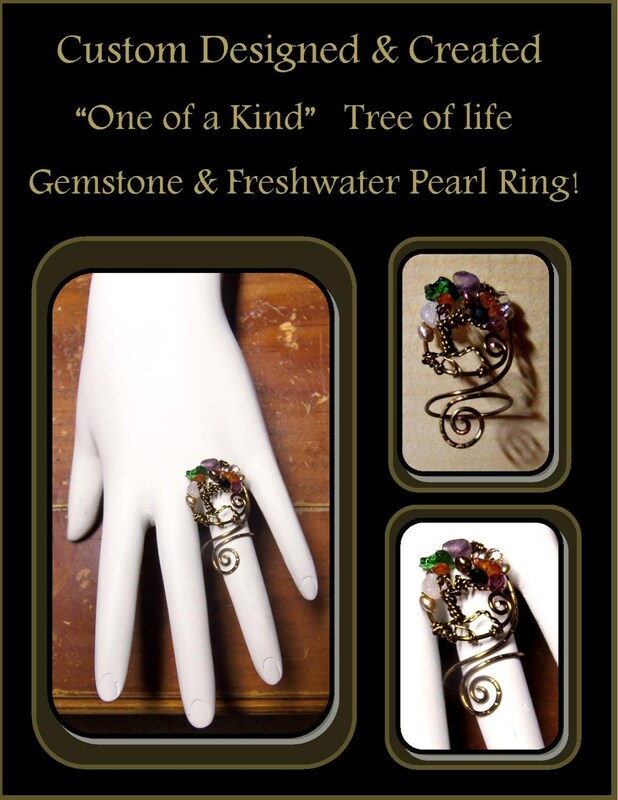 is lovingly hand crafted by Me! Connection to the Earth also! 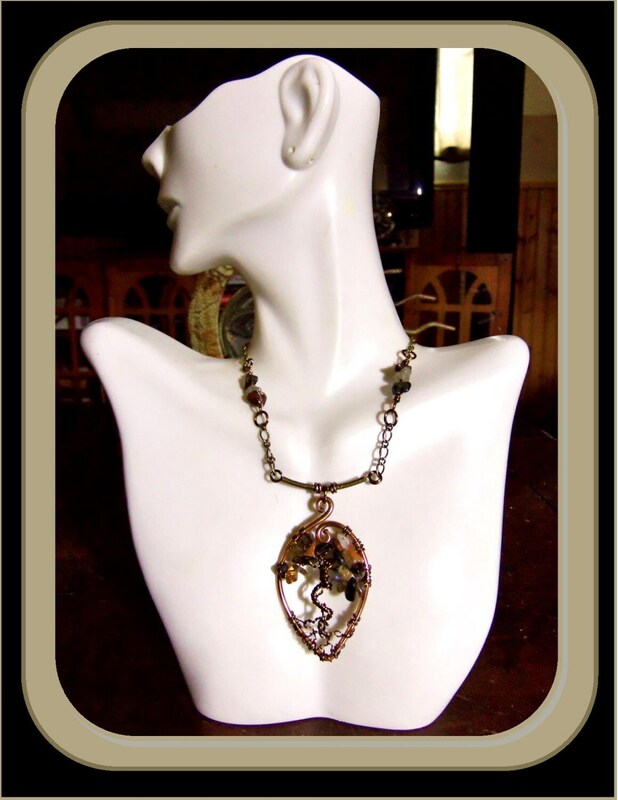 Copper, Amber,Amethyst,Jade and Tigers Eye! 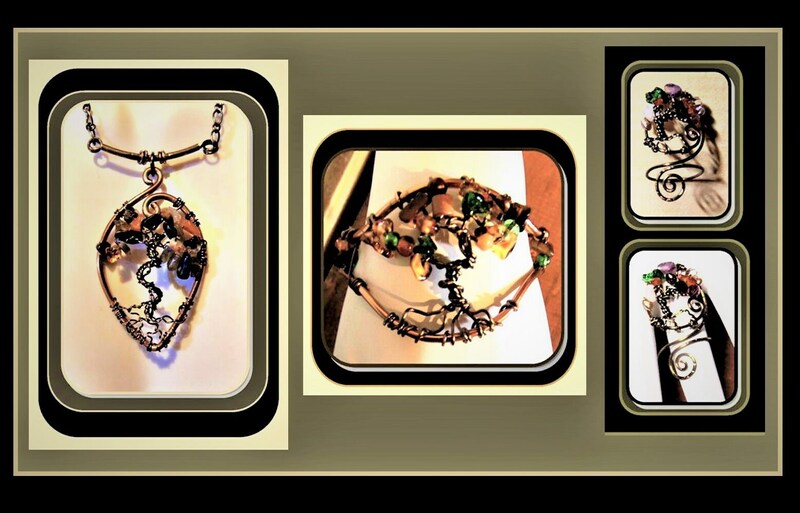 The perfect gift for someone you care about...A Unique and Healing Gemstone Bracelet! 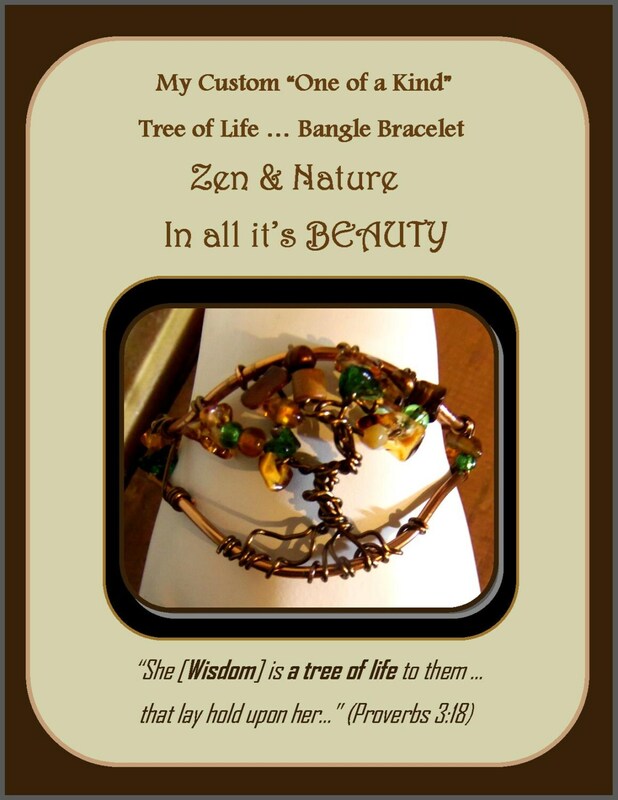 Will bring Zen, calm, strength and wisdom, and much more to those who wear it! 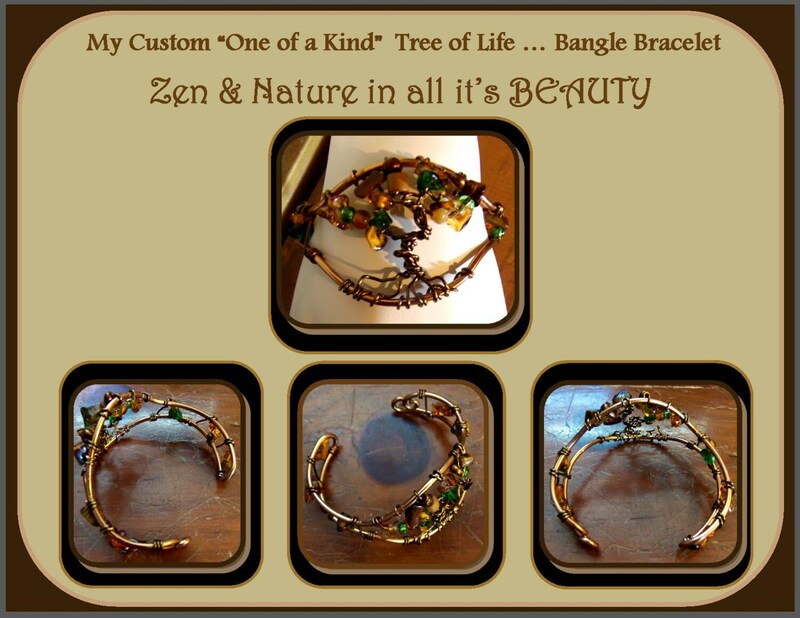 It is a "One of a Kind" Custom design, depicting One of my Favorite Inspirations "the TREE of LIFE"
it also contains Amber and Tigers Eye Gemstones, carefully woven into the Bracelet as well as the limbs on the Tree of Life! 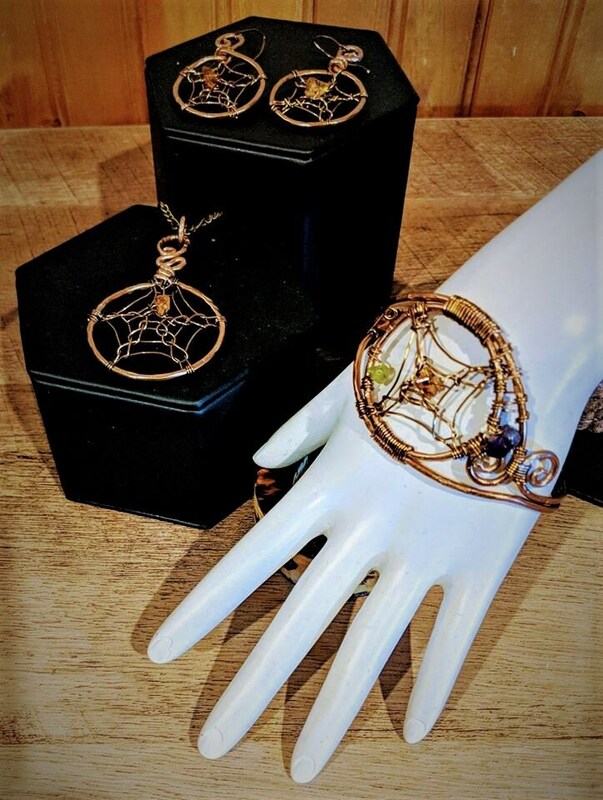 I combine These Beautiful Gemstones with Copper to enhance their Healing Effects! 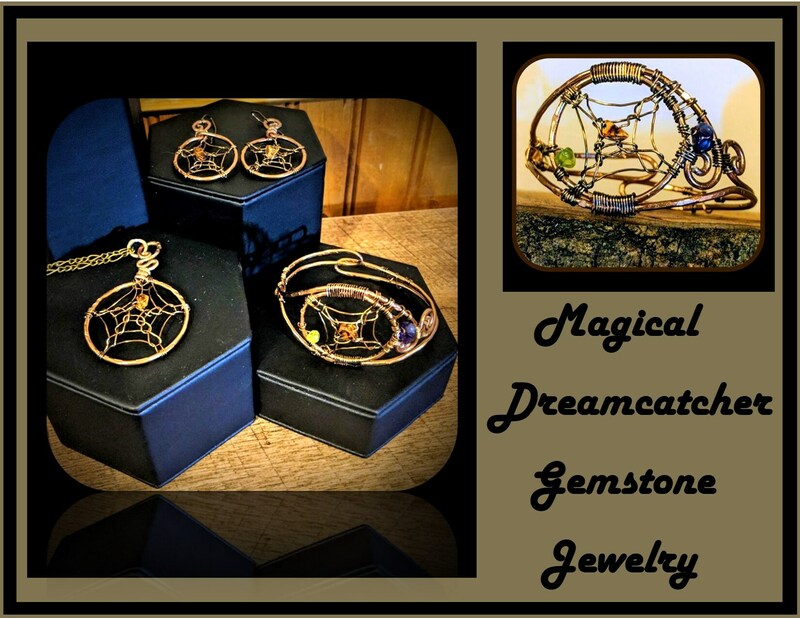 Any stone set in copper or used with copper with have an enhanced energy field. There are some stones that are very powerful when used with copper. 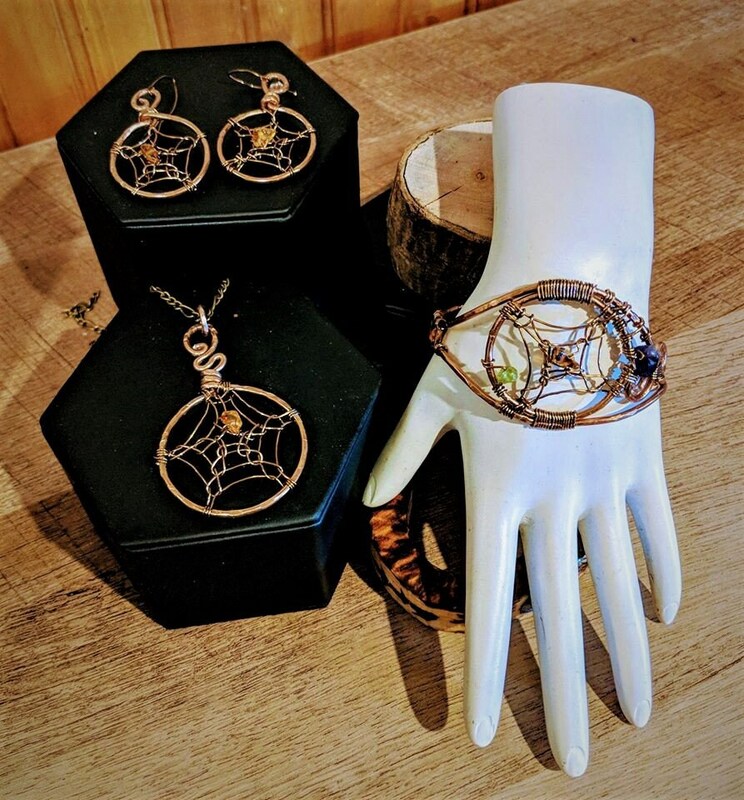 Copper will help the healing effect of any stone when both touch the body. Copper acts as a conductor when worn on the body. for the Heavensand its roots firmly grounded in "Mother Earth". Amber is Great for Back problems, it is said to be helpful for backaches and joint issues. It is a very powerful healer with the ability to draw out pain, and is also believed to transmute negative energies into positive energies. One of the most spiritual and protective stones. TIGER'S EYE is known as "The River of Humanity"
bringing together the energies of the Sun and the Earth, enhancing dynamic beauty and practical perception. It helps alleviate depression allowing one to open and blossom with optimism. Tiger's Eye helps fill the gap between "wishing" and of "having" opening up the prospect of wealth.